The 2019 edition of Wine Without Walls, the natural wine section of the 5StarWines blind tasting organized by Veronafiere and Vinitaly, will showcase an enhanced wine assessment method as well as two brand new trophies. This popular segment of 5Star Wines will be held in Verona on April 3rd 2019 featuring natural, organic, and biodynamic wines from all over the world under the scientific direction of biodynamic wine writer Monty Waldin (also General Chairman of 5StarWines) and the coordination of Master of Wine Richard Kershaw, the new Wine Without Walls Panel Chairman. 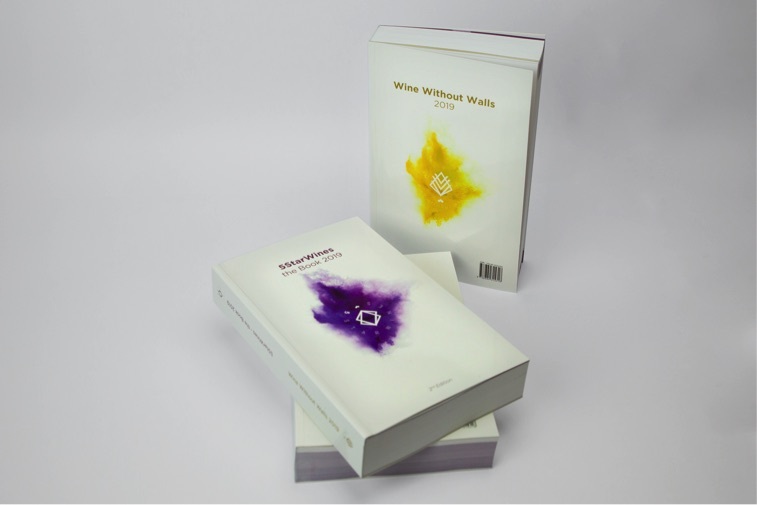 Photograph: 5StarWines – the Book from the 2018 selection features also a dedicated Wine Without Walls section. There is huge potential in niche products such as so-called “natural” wines, especially with those wine consumers interested in sustainability. The explosion of the organic and Fairtrade markets within the wine industry provide concrete evidence of continuing recent growth within food and beverage production categories. While options such as vegan or sulfite-free wines are relative new comers to this sphere, others like natural and biodynamic wines have been around for quite some time. Old or new, these sustainable approaches have one thing in common: they interfere with nature as little as possible. For a growing number of wine producers, delving into the “natural” approach is not just to expand their business in the market: it is an intrinsic philosophy that guides their work and is seen as a necessity for the wellbeing and continued fertility of their land. Aligning with current consumer and viticultural trends, Wine Without Walls 2019 will showcase the natural, biodynamic, and low sulfite wines coming from every corner of the world. These wines will be tasted by high-profile international judges that will evaluate them following an improved assessment method. To begin with, Wine Without Walls will open its doors to companies producing wines with sulfite levels below 80 mg/lt. By doing that, the organizers are aiming at making the event more accessible and appealing to a larger number of producers. Monty Waldin, General Chairman of 5StarWines and Scientific Director of Wine Without Walls commented on the new sulfites limit. This year, we decided to raise slightly the permitted limit of total sulfites for the entries. Our rationale behind this change was to make Wine Without Walls slightly more inclusive but without going so far as to include in the tasting absolutely every single organic, natural or Biodynamic wine ever made. We are eager to test this new implementation to see what effect it has on the types of entries we receive. We are interested in receiving feedback and suggestions from wine producers. Our wish is that Wine Without Walls remains inclusive, credible, rigorous, and transparent, whilst also recognising that this field of winemaking is by implication as dynamic, challenging, rewarding and chameleon-like as the wines themselves. Another fundamental revamp of the selection will be the numerical score that individual natural wines will be awarded. From now on, the dedicated Wine Without Walls jury will rate biodynamic and organic wines using the same numerical assessment method used for the 5StarWines grand tasting. The panel of judges will assign scores to each wine presented, and the elements subject to examination include the visual, olfactory, and gustatory components of the wine. Thereafter, an average score will be tallied; this final score will be out of 100. Wines scoring 90 points out of 100 will be included in the 5StarWines – the Book guide, a promotional tool designed to help wineries gain recognition and increased market share. The improved numerical centesimal assessment makes the final score more tangible and immediate to grasp to an international public and is designed to better help wineries in the promotion of their products. The selection process will also be enhanced by the assignment of various Wine Without Walls trophies. For the first time, along with a final score and a personalized commendation within the 5StarWines – the Book, participants will also run for the “Best Winery” and “Best Wine Without Walls Wine” trophies. The “Best Wine Without Walls Winery” trophy will be awarded to the producer who gets the best averaged out results. The final results are those that wineries obtain averaging the scores from at least 3 of their wines that procured awards in at least 2 different categories. The trophy for the “Best Wine Without Walls Wine”, however, will be instead assigned to the wine that scored the highest score during the Wine Without Walls selection. In Wine Without Walls 2019 Veronafiere and Vinitaly aim at both overhauling the selection process and maintaining a sense of continuity with other editions. To do this, the organizers invited both past and new judges back to Verona. Biodynamic wine writer Monty Waldin will retain the scientific direction of Wine Without Walls while also taking part in the 5StarWines selection as one its General Chairmen. Master of Wine and wine maker Richard Kershaw, who also judged at Wine Without Walls last year, will be its new Panel Chairman and will oversee the work of an expert cohort of judges. 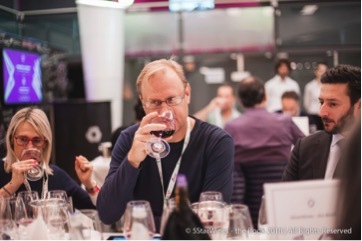 Confirmed Wine Without Walls judges this year include: Gill Gordon Smith (Vinitaly International Academy Italian Wine Expert and CEO at Fall from Grace), Regine Lee MW (Head of Customer Support at Liberty Wines), and Christopher Barnes (Founder and Editor at Grape Collective). During the last edition, 24 organic and biodynamic wines made it through the final selection. At the end of the event, the panel agreed that the wines far exceeded their expectations in terms of quality, complexity, and, most importantly, value. With a combination of old and new strategies, Veronafiere and Vinitaly wishes to see the number and the quality of participants grow exponentially. Online registrations with discounted fees are now open for Wine Without Walls 2019. Wineries interested in gaining international visibility through this tasting can avail themselves of our 10% discount on the registration fee. This is therefore, a timely opportunity for producers to enroll at a discounted price in order to have their wines evaluated by top judges from around the world. For additional information on wine enrollment, the 5StarWines team can be contacted at 5star@vinitalytour.com.